Columbus, OH - July 12, 2017 - Spartan Logistics has announced he appointment of Josh Ledford as the new Executive Vice President. 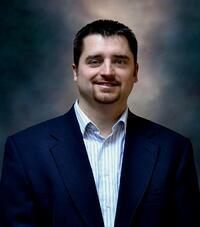 Josh began his career with Spartan Logistics over 15 years ago in the Toledo, OH region. He was hired as a warehouse team member responsible for order picking and processing, which provided opportunities to learn and grow within the business. Josh's work ethic was evident as he attended college while working full time in the warehouse. As his sales role progressed, he eventually served as Director of Sales. During his previous roles in business development, Josh was responsible for the day-to-day contract sales and maintaining customer partnerships to accelerate revenue growth company-wide. As Executive Vice President of Spartan Logistics, Josh will oversee the operational strategic plan and establish guidelines and procedures for the management of business units reporting to the Executive Vice President. In his new role, Josh’s primary responsibility will be to mentor our warehouse leaders, to help lead the company in growing productivity, and deliver outstanding customer service. Josh will work collaboratively with President, Steve Harmon who was excited about the promotion. “Josh has been an integral part of the company’s growth for over a decade, and I have always thought of him as my go-to-guy. I am proud to make it official,” says Steve Harmon.